After following and participating in the OpenCon Librarian calls for much of the last year I was delighted to win a partial scholarship to OpenCon 2017. The monthly calls had raised my awareness of the variety of Open Access, Education and Data initiatives taking place elsewhere and I was keen to learn more about others’ advocacy efforts with students, librarians, policy makers, social entrepreneurs and researchers from around the world. Too often when discussing Open Access and Data it seems that researchers, librarians and policy makers are at separate conferences and having separate conversations; so it is great that OpenCon brings together such a diverse group of people to work across national, disciplinary and professional boundaries. Thus I was very excited to arrive in Berlin for a long weekend working with a dedicated group of advocates on how to advance Open Research and Education. The weekend started with a panel of inspiring early career professionals discussing the initiatives they are working on which showed the many different levels it is possible to influence academic culture. These included Kholoud Al Ajarma’s work enabling refugee children to tell their stories through photography, the Bullied into Bad Science campaign which supports early career researchers in publishing ethically, Robin Champieux’s efforts to affect grassroots cultural change and research into how open science is (or is not!) being incorporated into Review, Promotion and Tenure in American and Canadian universities. Learning about projects working at the individual, institutional, and national level was a great way to get inspired about what could be achieved in the rest of the conference. This emphasis on taking practical action was a theme of the weekend, OpenCon is not an event where you spend much time listening! After sharing how we all came to be interested in ‘Open’ during the stories of self on Saturday afternoon, we plunged into regional focus groups on Sunday working on how we can affect cultural change as individuals in large institutions. The workshops used design thinking, so we spent time thinking through the goals, frustrations and preoccupations of each actor. This meant that when we were coming up with strategies for cultural change they were focused on what is realistic for the people involved rather than reaching for a technical solution with no regard to context. This was a great chance to talk through the different pressures facing researchers and librarians, understand each other’s points of view and come up with ways we can work in alliance to advocate for more openness. During the do-athon (think a more inclusive version of a hackathon) I spent much of my time working with a group lead by Zoe Wake Hyde looking at Open Humanities and Social Sciences which was born out of one of the unconference sessions on the previous day. When discussing Open Research, and particularly Open Data, the conversation is frequently geared towards the type of research and publishing which occurs in the physical sciences and so solutions do not take account of the challenges faced by the Humanities and Social Sciences. These challenges include a lack of funding, less frequent publishing which puts more pressure on each output, and the difficulties of making monographs Open Access. Often at conferences there are only a couple of us who are interested in the Humanities and Social Sciences so it was great to be able to have in depth discussions and start planning possible actions. During the initial unconference session we talked about the differences (and potential conflicts) between Digital Humanities and Open Humanities, the difficulties in finding language to advocate effectively for Open in the Humanities, and the difficulty of sharing qualitative social sciences data. It was reassuring to hear others are having similar difficulties in getting engagement in these disciplines and, whilst trying to avoid it turning into a therapy session, discuss how we could get Humanities and Social Sciences to have a higher profile within the Open movement. It was by no means all discussion and true to stereotype several of our group spent the afternoon working on their own getting to grips with the literature in this area. 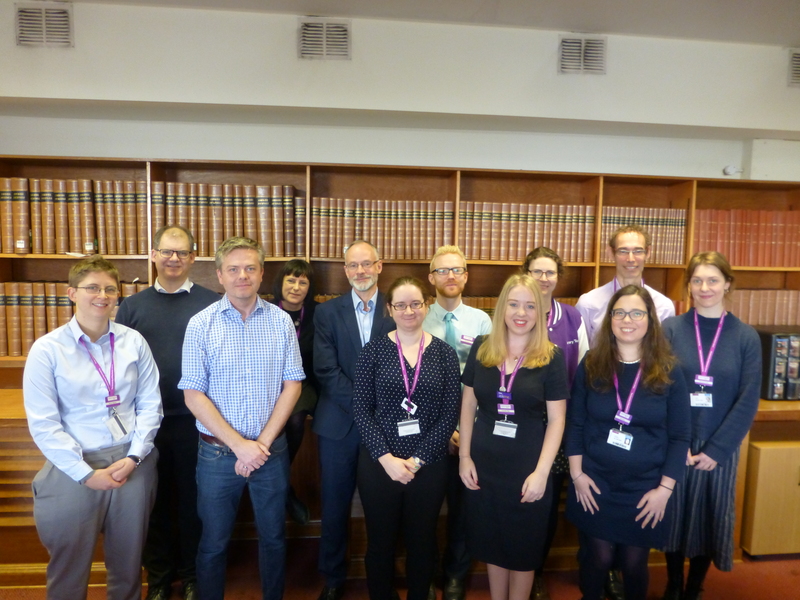 It was inspiring to work together with an international group of early career researchers, policy makers and librarians to get from an initial discussion about the difficulties we are all facing to a draft toolkit for advocates in little over 24 hours. Our discussions have continued since leaving Berlin and we hope to have a regular webchat to share best practice and support each other. Whilst getting involved with practical projects was a fantastic opportunity my main takeaway from the weekend was the importance of developing a wider and more inclusive perspective on Open Research and Education. It is easy to lose sight of these broader goals when working on these issues every day and getting bogged down in funder compliance, the complications of publisher embargoes and the technical difficulties of sharing data. The Diversity, Equity and Inclusion panel focused on the real world impact of openness and the importance of being critical in our approaches to openness. Denise Albornoz spoke powerfully on recognising the potential for Open Research to perpetuate unequal relationships across the world with wealthy scientists being the only ones able to afford to publish (as opposed to being the only ones being able to afford to read the literature) and so silencing those in developing countries. Tara Robertson highlighted the complicated consent issues exposed through opening up historic records, Thomas Mboa focused on how Open Access prioritises Western issues over those important in Africa, and Siko Bouterse spoke about the Whose Knowledge project which campaigns on ensuring knowledge from marginalised communities is represented on the Internet. This panel, much like the whole of OpenCon, left me reflecting on how we can best advance Open Access and Open Data and re-energised to make a start with new allies from around the world.